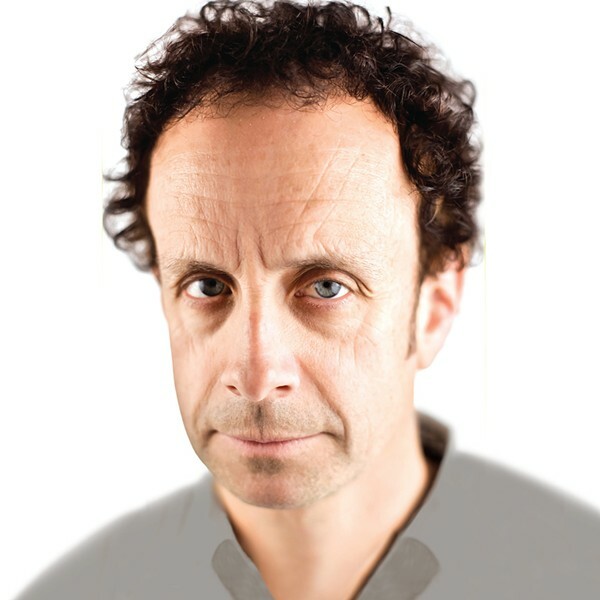 Kevin McDonald is a founding member of the Canadian sketch-comedy troupe the Kids in the Hall. Formed in 1984, the group is best known for its TV series of the same name, which ran from 1988 to 1994 and turned the five members of KITH into alt-comedy cult heroes. That series, produced by "Saturday Night Live" creator Lorne Michaels, was groundbreaking — an offbeat and at times simply bizarre antidote to the more staid, mainstream sketches on SNL. In many ways, the show was an evolutionary cousin to "Monty Python's Flying Circus" — right down to the troupe members' frequent habit of dressing in drag. And KITH's influence can be found on many of today's best sketch-comedy shows, from "Inside Amy Schumer" to "Key and Peele." The Kids in Hall are still together and still making strange, wonderful comedy. The group toured in 2015 and plans to return to the small screen in the not-too-distant future. In the meantime, the members of KITH maintain thriving individual careers. On the troupe's show, McDonald was known for a gallery of often nasal-voiced and frenetic characters, such as the self-consciously "evil" Sir Simon Milligan and "lifestyle host" Darcy Pennell. On his own, he's amassed a long and varied roster of film roles, tours as a standup and improv comic, and teaches sketch-writing workshops all over the U.S. and Canada. McDonald will lead a two-day workshop at the Vermont Comedy Club in Burlington this Saturday and Sunday, March 26 and 27. On Sunday, he'll perform standup as well as improv with local troupes the Unmentionables and Napoleon. A fan Q&A follows the show. Seven Days recently spoke with the comic by phone from Winnipeg, where he lives with his girlfriend. SEVEN DAYS: You're touring a comedy show but also running workshops with comics. What happens at those? KEVIN MCDONALD: I was doing the Toronto Sketch Comedy Festival with Scott Thompson, one of the Kids in the Hall, and the guys who were running the festival asked me to do a two-hour workshop. So I'd had all of these theories about workshops that I would bore people with at parties, because that's how exciting a party person I am. I took those party conversations and made it into a workshop. So what the workshop is, in answer to your real question, is I teach students how to write sketches through improv, which is the same way the Kids in the Hall started. We'd come up with an idea and then improvise it until we had a sketch. Later, we were introduced to this thing on our TV show called "com-pu-ters," but before that, that's how we did it. SD: What's the biggest challenge in translating an improv scene into a sketch? KM: Sometimes the laughs you get doing improv are just because the audience knows you're making it up as you go along, and [they] love that, and so they laugh. But once they know they're watching a sketch, the laughs have to be funny because they're funny. SD: Speaking of "The Kids in the Hall," I was a big fan when I was an awkward teenager and remain a big fan as an awkward adult. KM: Well, we were in our awkward twenties and early thirties doing the show, so that works out. KM: No, no, never broke up. We just did a tour; we're trying to get together to do a TV show, six episodes or so. Lorne Michaels wants us to do a live show. I'm sorry, what was your question? SD: Hadn't gotten there yet. But I think you almost answered my question anyway. I was wondering, with the success of shows such as "Mr. Show With Bob and David" and "Wet Hot American Summer: First Day of Camp," it seems like the climate is right for more "Kids," and the Netflix model is tailor-made for a show like yours. So, do you have one in the works? KM: We do. It's just so hard now because we're all getting to be in our fifties, and we all have real lives and careers and [are] living in different cities. Like, one of us moved to Winnipeg for some stupid reason. I mean, it wasn't a stupid reason. I'm kidding, Paula! It's hard to get us together. But there is a demand for us. I see a window that's open, but it's closing bit by bit. CBC in Canada wants us to do a Christmas show. Lorne wants to do this live-streaming thing. We have so many new sketches, it would be easy to do, at least once we can get everyone together. But we're going to keep doing it until one of us dies. SD: You were "kids" when you started the show, and now you guys are older, with families. How has that changed the way you write sketches? KM: The topics have changed a bit. But it's the same spirit behind it. When we were younger, we'd write a sketch about beating up our dads. A few years ago, we wrote a sketch about being parents and hating our babies. We don't really hate our babies. Maybe someday a Kids in the Hall sketch will be us beating up our roommates in the senior citizens' home. KM: Yeah. But we don't beat up our babies. We just hate our babies. SD: That's important to clarify. You've done a wide variety of work since the Kids' heyday. Do you have a favorite role? KM: I love that I was in a hit, Lilo & Stitch. So that's good. I like the fact that I was in Galaxy Quest, believe it or not. I like the fact that I was in a good movie called Sky High. It wasn't much of a hit, but it was at least something I don't need to be ashamed of, unlike many of the other movies I've done. I like that I was on legendary things like "Friends" and "Seinfeld." But the thing I like the best, which I think was almost as cool as I think the Kids in the Hall are, was something called "Invader ZIM." It was like a cartoon the Kids in the Hall might have thought up. I also like that I was in some horror movies, even if they weren't very good. I was in a movie called The Godson, and I got to work with Dom DeLuise, who was one of my idols growing up. So there were even good things in the bad things. SD: What's your least favorite role? KM: [Laughs] Probably The Godson. That was pretty embarrassing. I did a zombie movie a few years ago that wasn't horrible. It was all right. I know I'm blacking out something. I probably shouldn't say The Godson, because the director is still alive, and it wasn't really his fault. But it was really fun to work on! Oh, I also did a few scenes with Rodney Dangerfield, which was really cool. SD: What was he like? KM: He was near the end of his life, and he couldn't remember his lines. So every time I did a scene with him, he had to use cue cards. He was really nice. He was high all the time. I can't do a Rodney Dangerfield impression, but he would go, "You're a good kid. You're from Toronto? You know Jim Carrey? I helped that kid!" KM: That's what it is! Go ahead, that's exactly what it is. Why, did you think it was smaller than a cult? SD: No, I would have said bigger, though maybe that's only because I'm part of the cult. KM: That's why you and I think it's bigger than a cult, because it's lasted and we do new stuff and because it's accidentally timeless. KM: Not because it's such amazing comedy or anything. But we always wrote about our parents and our relationships and our jobs. We never wrote about anything that was going on at the time. We never read a newspaper. So, kids now can watch it, and it hasn't really aged badly. Which is just dumb luck. SD: Cult fans tend to be a little peculiar. SD: What's a particularly strange fan interaction story? KM: The one I remember the most is from a tour probably 10 or 15 years ago. This guy got backstage and gave us a jar of cow eyes. We loved it. But, yes, a lot of our fans are peculiar. I can say that because a lot of them are like us, and we're Canadians. And we're very odd people. We get away with it because we're comics. But we're all eccentrics. And our fans are like us, which is a blessing. The original print version of this article was headlined "Canadian Cult Hero"
Joke of the Week: That's Nunsense!